Choreographers Jim Coleman and Terese Freedman invite interested members of the community into the A.P.E. 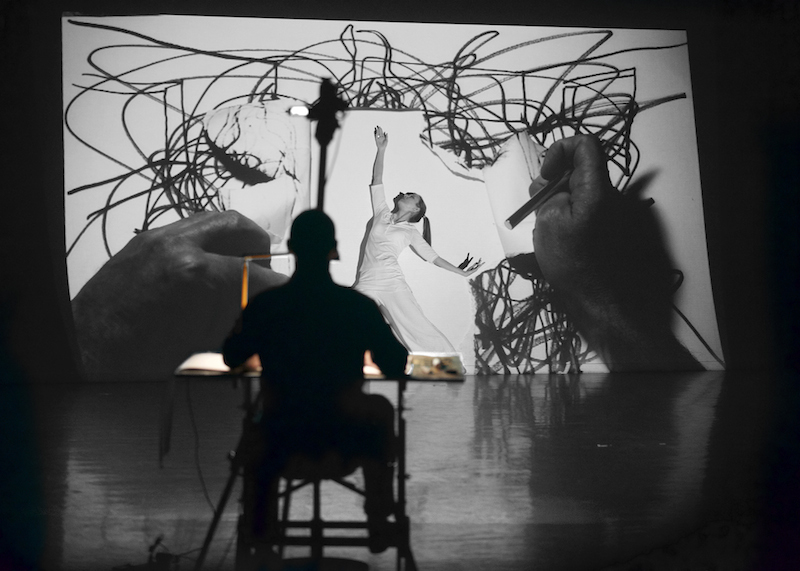 gallery in Northampton during the week of July 18-22 to explore experiments that they undertook in the creation of Written on the Body, a video/drawing/live dance work for visual artist and dancer. For two hours each day the public is welcome to join in! Participants will have the opportunity to move freely across the gallery wall while visual artist Neal Parks “traces” their movement action on paper. 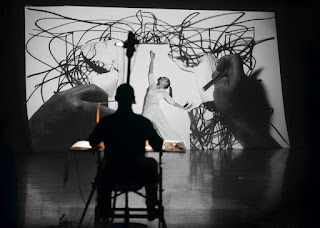 This “tracing” is simultaneously video-projected onto their bodies in real time, as they move across the wall. Participants will receive Neal’s “tracings”/drawings on paper, as mementos of their contribution. The video-recordings of these “tracings” will be compiled daily and projected as a streaming film each night on the gallery window, to be viewed by all passersby. The week will culminate with 4 live presentations of Written on the Body performed by dancer, Candice Salyers, and visual artist, Neal Parks. This program is supported in part by a grant from the Northampton Arts Council, a local agency which is supported by the Massachusetts Cultural Council, a state agency and a grant from the Art Angels, through the Community Foundation of Western Massachusetts. Gallery A3 - Opening August 4th - 5 -8 p.m.